Spectacular ocean front condo with sweeping views over the Atlantic with amazing sunrise gazing. Relax in this luxury, fully furnished 3 bedroom 2 bath home and make memories happen. Sip coffee on the balcony directly on the water, or gaze out as you prepare meals in the kitchen. Rest peacefully apart from the kids rooms in the oversized master suite and let the breeze in to soothe the soul. Ocean Hammock residents enjoy an ocean front lap pool, kids splash zone, family pool, seasonal poolside cafe, game room, clubhouse and business center. 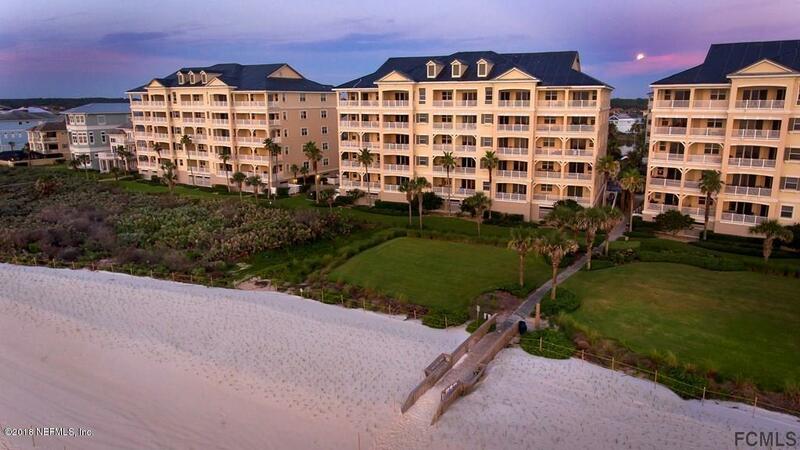 Cinnamon Beach is ideally situated between historic St.Augustine and family fun 90 minutes away in Orlando with all the Disney attractions and theme parks, yet still amazingly quiet, peaceful and safe( guarded gate and patrols).